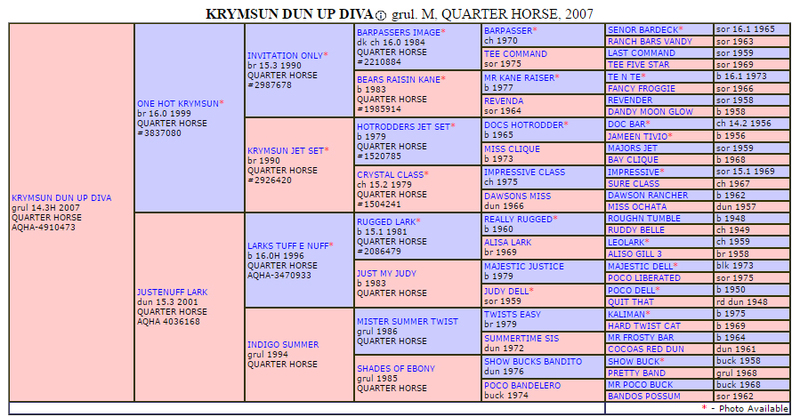 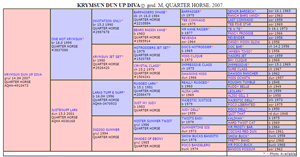 Here is another black daughter we own by the famous sire One Hot Krymsum. This pretty mare is homozygous for black also and produced a homozygous black smoky black filly in 2016 that we will be keeping for our future broodmares. 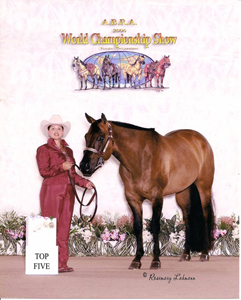 This mares dam is by Larks Tuff E Nuff who was by the famous Rugged Lark that Lynn Palm won all the AQHA Superhorse titles on. Her dam, Justenuff Lark had an extensive show career and earned many points in many different events. 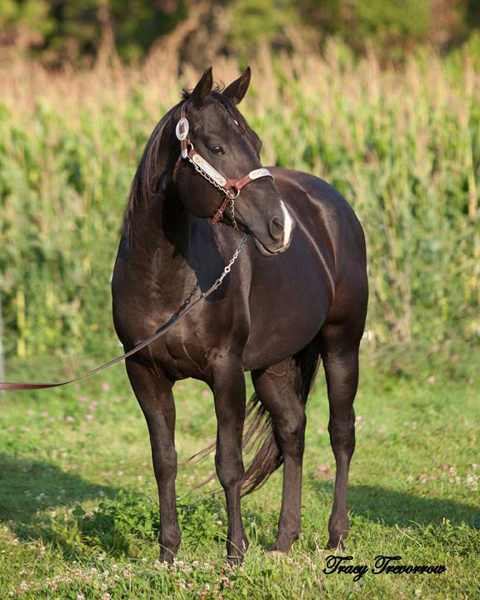 This mare is pretty to look and is very quiet and loves attention. 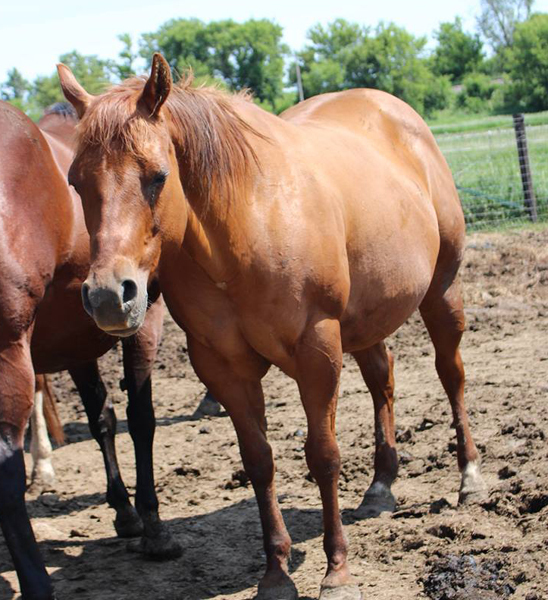 This mare is in foal for a 2017 foal to Hollywood Glo Cody. 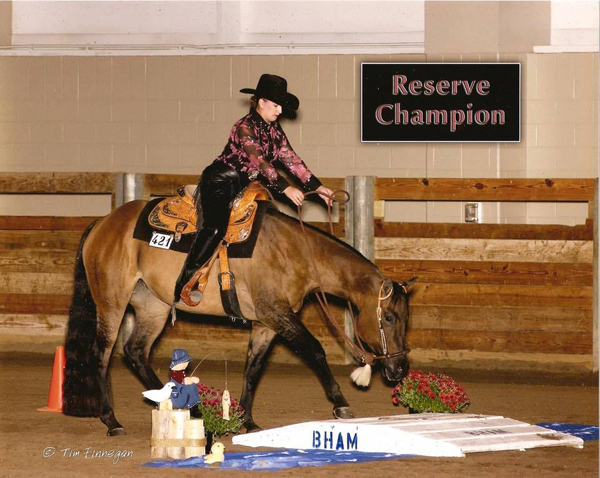 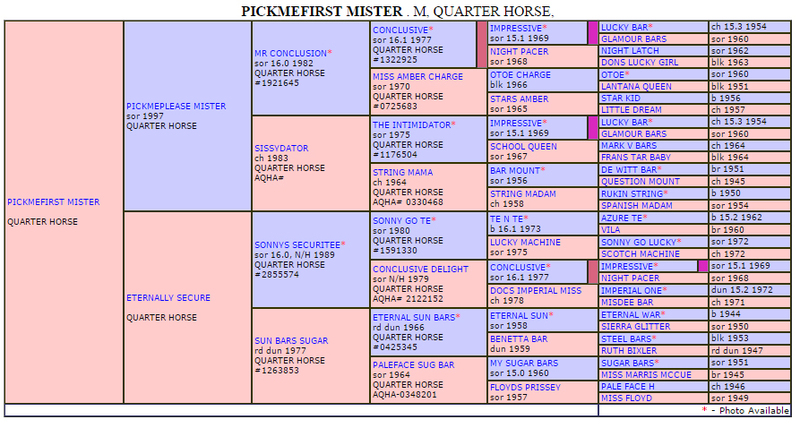 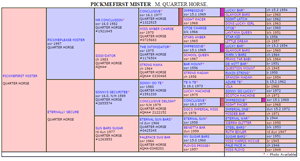 This mare was bred by an AQHA Leading breeder of halter horses and has some great bloodlines. 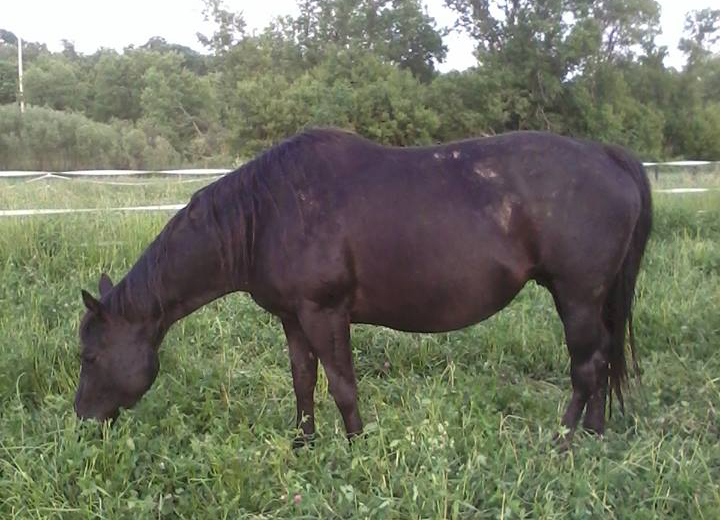 She is a big boned mare with a stocky build and gorgeous little head on her. 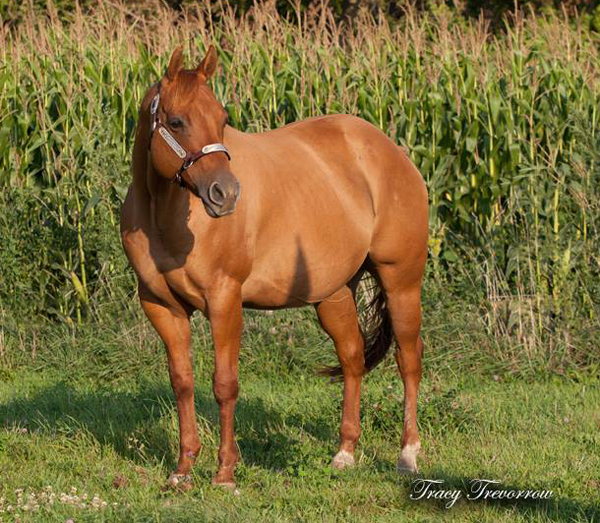 She is real sweet and loves attention. 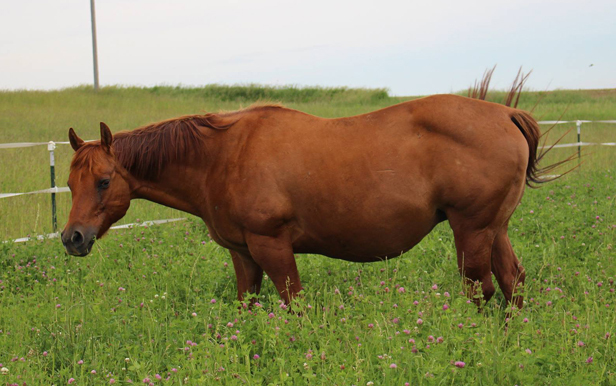 She had a really nice red dun colt for us in 2016 and a grullo colt in 2018.